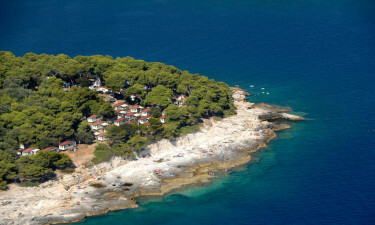 This amazing campsite rests on a peninsula that juts out into the gorgeous Adriatic Sea. 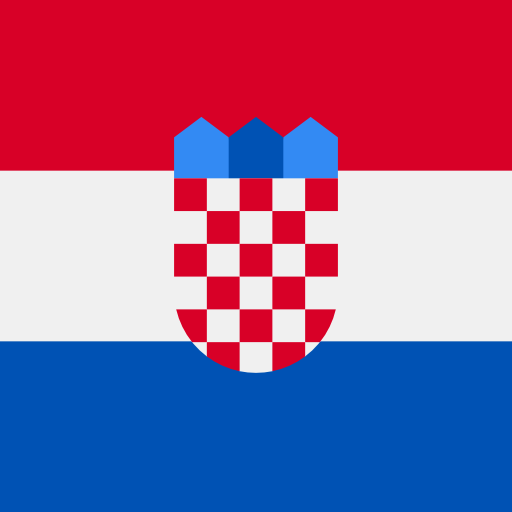 The Adriatic is well known for its crystal-clear waters and naturally calm beauty. This luxury camping site at Stoja blends historic Roman architecture with natural cliffside beauty to produce a landscape like no other! 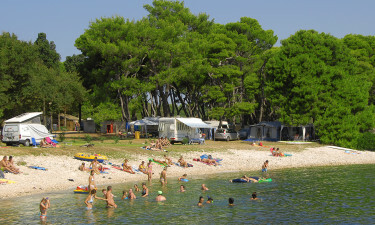 Camping Stoja is an ideal luxury camping place for families and couples alike. 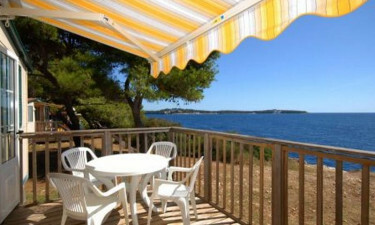 Book your next camping holiday through LuxCamp today. Located at the tip of the Istrian peninsula is the city of Pula, an ancient Roman site that held significance as an important administrative centre for the Roman Empire. You can find the famous Pula arena here, as well as a number of other interesting cultural attractions. With a mobile home as your base, the nearby sea and naturally green environment make Stoja a terrific place for the whole family to investigate. Dive into the pool-like crystal clear waters! Although Stoja doesn’t have a pool onsite, the waters of the nearby beach make it appear as if one is swimming in a pool, except that these waters are all natural and don’t have any chlorine! This crystal-clear beachfront is just a 2-minute walk from the campsite. There are countless beaches, trails, and rocky shore areas to explore. This feature makes Stoja an aquatic adventure land just waiting to be discovered by you!